Before long, the power structures on planet earth will begin to visibly crumble. The collapse will occur, and it will be final. Soon afterwards, military control will cease to exist and truths will be revealed. At that time, very soon afterwards, we will be free to land and meet with you. Safety would be a large issue at this time, our safety, and there would still be planet wide fear of our approach. These are the current circumstances. Our perception of time does not parallel yours and in as much as you have difficulty accepting timelessness, we may have just as much difficulty in viewing time through your human perception. But we can say that all is in place now, and in the now, systems are, internally, failing. The time frames for this great shift have been extended, and this has caused a great strain on you, the family of light. You were not mistaken or misguided, for believing that events should have occurred in a more timely fashion; as an intelligent collective, you could not have been so off base. Changes were made to the plan and adjustments were necessary, and this was all done for the benefit of humanity; planet earth was kind enough to comply but now many things will have to be accomplished in this ‘extension’ that has been granted. 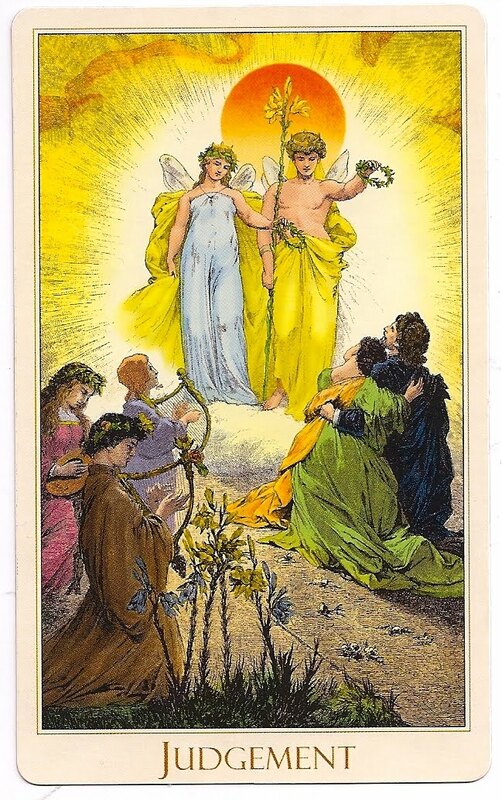 While this delay has caused a few to struggle with faith, the overall benefit was for more awakening, a safer passage, and greater success for mass ascension and widened consciousness. Many have waited for this time and have anticipated the current events. While far greater still, exist the sleeping minions. The challenges are therefore, perceptually unchanged on earth and members of the family of light, or ground control as we sometimes refer to you, have their work cut out for them. Some of you have longed for our reunions, and now it is time for us to prepare for this coming together. Those of you who have asked for us to come are being contacted and we have permission to help you deal with any residual fear which you may be feeling, as fear is paralyzing for our mission. We come to you now and say to you; Greetings, we are close by. Earth has been used as a freewill zone, absent of adequate intelligence, for long enough. This experiment has all but failed and the purpose of it was to see if quicker progress could be made, on an evolutionary level, with all three dimensions and facets of the Prime Source energies: thought, emotion, and free will. But earth became a place where the abuse of these gifts, and greed and power befell the inhabitants of this planet. There are beings on earth that are experiencing their first human life on this planet and some are living those lives now. The population of humans on earth at this time is far greater than was ever allowed previously. This was so that the wonder and miracle of this ascension process could touch as many souls as possible, whether highly developed or still in early stages of development. In relation to this, a certain outcome was hoped for, but never guaranteed. But it appears that overall, success will be achieved, however humanity must attend to the legal matters that are at the core of the work that will bring this freedom and produce the necessary revelations. Other zones, or planets, do not provide for inadequately evolved beings to poses these three facets of the Creator God, as this experiment is considered too risky. Therefore progress and evolution are slower, but less destructive, overall. Where universal laws are understood and obeyed, there is less harm done, but great learning over lessons associated with suffering, does not occur. So you see, it is a double edged sword, this earth experiment. The gift of these three features, which humans have been given, have become twisted on earth. Intelligence has taken over as manipulation; emotion has become fear based; and free will has been thwarted by loss of liberty. So the gifts, as it were, have been used for ill gains and those who come to earth are here to experience this existence for the lessons it provides. However, the earth could not continue to sustain the damage to her physical and spiritual body: the abuse cannot go on and this magnificent entity will be restored to her previous and original condition. The exploitation of this planet has reached its end and the newly restored earth will see a much different reality exist on her surface. It must be that way and nothing will stop this regeneration. Those who have retained power are refusing to believe that earth no longer belongs to them. And this is what they simply cannot accept. Pain and suffering, which has become widespread on this beautiful planet, always carried with it an expiration date; and that time is now at hand. To the family of light, we say, keep your focus now. Remain centered and in balance. Let go of the emotions you have been experiencing, the constant flux and inconsistency, for the time has come to pull your energies together and turn towards that which is ‘outside yourselves.’ To explain things to you in words is sometimes difficult, as the meaning is lost by this form of communication. Therefore tune into your dreams, turn your attention to your inner voice and your higher self, and know that the times are now at hand. In finality, we wish to say to you that the separation of energies must occur. Again, it is a perceptual separation, for there really is no such thing. But the physical reality, found in the illusion, which contains many varied energies, is dividing and the laws of attraction are universal laws that cannot be manipulated. It is still the lower emotions and the ego that holds you to what is no longer serving you. And if it does not serve you, it does not serve earth. It is that uncomplicated, from our simple perspective. Many of you are now hearing us and we are pleased that this time has come. You are the ambassadors of light and your conduction is mirrored in all facets of your being: In your words, your thoughts, and in your heart centers. And there is only One frequency that is required now; One energy and One vibration to return to: LOVE. We know that all of you who are awake are already tuning in and feeling the changes, and our message is only minimally necessary. Where you cannot practice love, practice neutrality, so that the power of negative emotion does not keep feeding the illusion. Be at peace and you will be guided. Family of Light: it is to you that this message goes. We are ever present and ever near. We are watching you. To some this journey is being felt as more than what they can bear, yet this time is crucial in the evolution of new earth. You who read this are the ones who signed up for this mission on earth at this time and it was a privilege to come here. The lifetime you have spent here has rendered you almost, but not quite, a part of the reality/illusion which you found yourselves in. Set yourselves apart from it, for this is where you will find your place of comfortable existence. When you look around, you see a world that makes little sense to you, but that is why you are here, at this time, because worlds are meant to make sense, and planet earth is no longer going to exist as a place of confinement and imprisonment. It is important now to speak of the current situations you may be finding yourselves in. We wish to say as much as we can, in as little words as possible. The detachment from the current reality/illusion is breaking away more easily now. And the difficulties some of you are experiencing are in your not wanting to let go. It is inevitable, and pain is caused by the unwillingness to relinquish control. The dimensional shift has occurred and this fourth dimensional dream world that you now find yourselves in is strange, yet alluring. It feels at times like a pull towards nothingness, but it feels good because you are dwelling there in closer proximity to the energies of your star brothers and sisters, and your multidimensional selves. And so it feels right to ‘escape’ to this place of non-reality. Many of you are now feeling the ‘pull’ as intense, and irresistible, so why not give in? When you are alone, you ‘zone out’ easily. But sometimes, interracting with others makes you feel as if you are losing yourself. You are moving back and forth, in and out of dimensions. Ascension is about consciousness and that carries a far different meaning in the 3rd dimensional world. While you slept, it seemed that you almost succeeded in living in the illusion and becoming fully a part of it, but you always had way too much information to ever be successful in giving in completely. So your life has been lived on the edge. For many, isolation and loneliness were the worst encounters. We speak of these things to pay homage to your sojourns and to not overlook your bravery and courage on these paths that you have walked. Some of you have had much difficulty waking up. Earth is like that. Its illusion is compelling and its frequency is one of putting humans into a trance. But this illusion is crumbling and now the humans are realizing that corruption and control are at the root of their current reality and they are rebelling, but they are still slow to rouse, the majority of them still slumber. But the light is increasing. It cannot be stopped. You, who comprise the family of light, have struggled with the same emotional imbalances felt by humans and the focus on earth has been lunar, yet solar information is required to decipher the codes of information found in light. There has been a trend among humans to fear the Sun, and exposure to its rays, but no teaching could be more harmful than this one. You, who make up the family of light, require direct daily exposure to solar rays, to stay in communication with your information sources and this also helps you hold more light, as you are a natural conduit. Many of you will find that you feel lost and rudderless on cloudy days, or during your months of winter. Do not remove yourselves from this source of light information, nor should you fear harmful effects. Go by how you feel and take in as much light as you can. You will know when you’ve had enough. Ask the Sun for a message and you will receive it. It is an outer reflection of your own inner light and to fear that is counterproductive for you, dear family of light. Take in only what resonates with you. Remember the illusion relies on darkness, and so the advice to shun this magnificent light source should be questioned, along with almost everything else found within the illusion. Some of you are experiencing physical symptoms that may resemble something chronic which in your world has names and labels, but your bodies are changing and so are its requirements for food. But the earthly habits which cause humans to continue eating foods which are dense and heavy, and of low vibration, are of particular harm for you, the family of light, because of your changing molecular compartments and cellular structures. The new earth energies will not support certain habits and it is well to begin the serious process of elimination of those things which no longer serve to make you feel good, except to satisfy a momentary craving. You see, nothing can remain the same because of the shifting energies. It is this body that you exist in right now, that will survive in this shift. Make it compatible with the new energies coming through. Within the crystalline grid, your knowledge and information is spread through your light, frequency, vibration, and energy. The more light you can hold, the more you assist in spreading light to much needed places. Some of you may find this a difficult process. Some of you are going through a physical re-structuring of your immediate environments and relationships. Some of you are novice’s, having less experience than some other members of your team on earth. But this is your challenge and it is a great undertaking. You were eligible for the job, even if this was your first mission. The next phase of the project is soon to begin, and that is our re-union with you on earth. Amid the turmoil, preparations need to continue to be made. Vibrational matches make it easier for us to make contact, and if you only knew how much you are lowered in vibration by negative human emotions, you would not participate in those lower energy creations. This is your testing ground, as well as your playground, as well as your school, as well as your assignment: to bring light and information to earth. But nobody said it would be easy. Your homework is to hold light and build a firewall to negativity, while learning how to live with humans in the illusion. Your free time is for you to participate in joy and creativity. Pain and suffering are choices you make, as what’s left of the dark energies seeks to continue to extinguish light. Remember what you were taught about the nature of emotions on Earth, as that was a long lesson. Emotions and free will are together a large part of the Earth experiment. We wish to say to you, to relinquish this control which you feel you must have in this world, as the illusion is crumbling and there will soon be less to hold on to. You have divine guidance at your disposal and you are being carefully monitored. You will remain safe, so do not fear the feeling of giving in to this eerie 4th dimensional nether world. Its substance is the ether of unlimited potential, but it is not yet tangible. It is the place that you must go, and pass through, and you must trust that you will be safe there. The fifth dimension is the ultimate goal for earth and its beings, but those who are a part of the family of light, will indeed have further options to explore, when the time is right. Be at peace and call upon us. Eliminate distractions, stop unnecessary activities, partake of silence, and draw in your energies. The shift of the ages is upon you, dear family of light. Your mission is successful. Don’t turn back now. Darling Starseeds and Lightworkers. None other compares with you. Through it all, we have made our way, back to the light. Through the darkness we have sojourned, to this place where we stand. And on the threshold we see, the new light shining upon us. We are the gatekeepers, the ones who have ushered in the Age of Aquarius. We have suffered the lonely road, and in the end, we triumph. No longer will we walk alone. No longer will our knowledge be locked away inside. Now we are free, no longer the outcasts of the world. No longer will we be be mis-understood, and mocked by others. Now we are the way-showers and must continue to lead our beloved brothers and sisters who cry for our help, out of the confusion. What a day this is, what a light it is that shines on us and mother earth. How triumphant we are, now and in the days to come. Our purpose has been fulfilled. We have not walked circles around our mission, but have walked headlong into the darkness without help, it seems. How difficult it was for us, but now we know who we are! Now our lonileness is over! Now we know the angels have never left us, and our star has never misled us. What kind of hearts are these, that we carry so deep inside? And from so far away, the spirit guides. What warrior hearts are these, who have bravely continued, through suffering and tears? We have made it now, and the lonely road is a thing of the past. Humanity has reached a cross roads now and they must choose their path. The earth is separating and splitting in two and the time will come when a direct separation will take place. We are the Elohim and we come to guide you at this time. Our love for all of you is great and we urge you forward in your mission towards ascension. No longer can false ways serve you on this course. The journey is wrought with responsibility and choices. Staying in one place is no longer an option and the stagnation of the past is no longer that which can sustain you. Feel us with you, we come closer. Now the veils are permitting direct contact and soon you will see us. We come to the new earth you create in your dreams and we support this new reality. Come visit with us there. We are welcoming you home. No longer shall you suffer. No longer shall you want. No longer shall you walk the lonely path of life. This is your calling. But there are choices to make and each and every one of you knows which road to take. Do not dally, for time is speeding up and it will dissolve in the near future. Some will be left on the old earth, but even then they will still have a choice to move forward, but it will be more difficult for them as this separation of worlds is becoming more pronounced. We love you so much, dear ones. Come back home to us. We leave you with these words of love and say to you that all is well and proceeding to plan and we are with you and walk with you and guide you back to the light. Until the next time that we meet. We are One. Readiness is everything and the winds of change are starting to blow. For all the waiting we’ve done, only those who have prepared the ground will be available to the troubled world once the media is infiltrated. Do you have your speeches prepared? Do you know what you are going to say? Do you even know where to begin? How do you feel about public speaking? Are you connected to your community, and do those who know you, trust you? We should at least have some vague idea of where to begin, and what to say in some public arena . It’s great to be awake and aware, but we also need to be prepared. It’s not far off now. Let’s turn a magnifying glass to March, April, and May of 2012. Two I Ching oracles were drawn for guidance for this article. Some of this may be repetitive, but it’s better to be overly prepared than unready. Mercury is already starting to slow down, as is Pluto; things are now hanging precariously in the balance as we have two fearful planets lurking. But let’s look at Pluto first: in Capricorn, as discussed, the crashing down of false wealth, power, and constructs built on greed, which is already being witnessed – gearing to go backwards; a planet in fear, if we believe in ancient Astrology, which by the way, I do. The wise are resigning while the others continue to battle forwards, headlong into disaster. Then he plunged into the depths of the earth. But if we follow the rules of chess, we know that the last piece to fall is always the king, while the queen is the most desirable player to take from your opponent, along with all the rest, until the king is trapped. While all this is taking place, those at the top of the power pyramid, the darkest ringleaders, will eventually be cornered, in the end, just like the other players, only with greater shame, because then and only then, will the game over. Once Pluto goes retrograde, the king will be trapped and while he might be chased around the board for a few more moves, check mate will come hard. Because this is really just a game of entrapment, only this time, the winner is pre-determined, as the light always wins, in the end, and this IS the end, of this game. Two variables to add then, so let’s continue to look at Mars. The end of this month and beginning of April is going to be extremely tension ridden. While Pluto is stationary, just about to go retrograde, Mars will go stationary while retrograde, just about to go direct again. This is so interesting! After Pluto goes backwards, Mars goes direct 3 days later! The first two weeks of April are going to see a change of direction in Martial energies, and while they may go out with a bang, (threat of war, possibly attempts to enlist the aid of more military and security personnel, border closures, call for increased ammunition, etc), the reality is that Mars, and those professions who are ruled by this planet, will be done with their guns, and those who hold power over them, and bid them to do their dirty work, will lose their grip on the men and women in suits with guns. Because losing power means losing all power; you don’t get to slice it up and keep some parts of this pie. They don’t get to hang on to their money, or their police force, or the media, or anything that was gained through terrorism. This retrograde Mars has seen many people get hurt on our planet and has caused much destruction. It has also reflected increased martial law enforcement in the United States (the military headquarters of the world), and the passing of the National Defense Authorization Act, just as Mars was becoming stationary early this year. Because the United States is representative of the power house that it is, especially with regards to its actual title of military capital of the world, its citizens will be most sorely hit when the truth is revealed. So when Mars goes direct again, while scared Pluto starts to go backwards, we can expect quite the opposite effect of martial control over humanity, but martial control over the ones who will be sought out for arrest! You will pardon me if I sound excited; I will work on developing compassion later. But let’s turn the focus now on Mercury. I spoke about it in my previous article, but let’s just tie it all in together, because it’s already starting to slow down. I feel this retrograde planet will be quite instrumental in pushing things forward with regards to the literal havoc it will wreak on the already tongue tied and twisted media. With respect to getting the truth however, I feel it will have to get worse before it gets better. While Mercury is stationary (between now and March 12th), there is much going on behind the scenes in our news rooms when the cameras are off. On Monday March 12th, or possibly sooner, we can expect to start hearing some strange things on our televisions and radios. It’s not just that the power mongers will lose control of the media, but the media will become confused as to how to begin reporting the truth. While some will choose to end the silence, others will have to explain why they are saying nothing. And also why they have kept silence for so long. I don’t think the public is going to be overly impressed; after they get over the shock of what they are going to hear, of course. The reason why this time will be a little different than other times is because Mercury will dwell for a very long time in conjunction to the Planet Uranus, the great and sudden bringer of change. Uranus equals disruption, while Mercury equals thought and communication. Uranus is the ruler of Aquarius and is the great liberator of the mind. The two together will make quite the dynamic duo. That can be no other way. They will be quite the instigators for enlightenment and rude awakenings. The outer planets send forth their influence through the conjunction to the closer inner planets, so it is Uranus that will affect Mercury, who will, for the most part, be going backwards throughout this entire process. Mercury will begin to conjunct Uranus on Monday, March 5th, and will remain within a 3 degree orb of influence until March 23rd, so about 19 days. They will both be in Aries, so we have to throw Mars into the mix, as Mars rules Aries. This will add much energy to this aspect, as well as disrupt travel in vehicles made of steel (pretty much everything on earth). Shock comes – oh oh! Laughing words – Ha Ha! But he does not let fall the sacrificial spoon and chalice. Let’s see, what else have we got going on? Oh yeah, the equinox and the New Moon in Aries – big stuff! Basically, the spring equinox means that the Sun is going into Aries but the New Moon happens two days later and oddly enough, of course, aligns with Mercury and Uranus. These are dynamic energies to say the least. So we’re going to throw in the light of the Sun, and the interference of the Moon into the mix, with Uranus and retrograde Mercury, all in Aries (which by the way is a sign that the Moon hates), and we’ve got quite the bag of energies to deal with between March 21st and March 23rd. Plus the equinox energies are powerful for about 3 days before and 3 days after, as they help to increase consciousness. So you see folks, March cannot possibly escape without serious influence on our media and on the continued downfall of our reptilian commanders. What fun! While the big cookies crumble throughout the month of April, Saturn continues to go retrograde in its sign of exaltation, Libra, which just means the court rooms will be full and more foul relationships will be severed, but we should experience some smooth sailing, so to speak, after April 14th, when all planets will be direct except for Saturn and Pluto. That however is, respectively still quite a lot to deal with, but things should proceed rather nicely until about the beginning of May, when Venus goes stationary, about to go retrograde. This doesn’t happen too often, about every 18 months, and to sum things up, it’s generally a time of austerity for us earthlings. What will be of the most significance with this Venus retrogredation, is the timing. Humanity will be forced to look at their value systems, and question how we can say we love a handbag, and love a person, and have that word mean the same thing; if you get my meaning. This is a test of faith and none of us are exempt. Let’s enjoy this time, get focused, and get our speeches ready, cause Lucy’s going to have some explaining to do really soon, and we might not get another chance to talk before then. The night time we experience on earth is part of the duality imposed on this planet, and the Moon is the dim light that has shone in that darkness. While she is pretty, she is neither benevolent, nor consistent, nor trustworthy. She is superficially the reflection, and the guardian, of the fluctuating and inconstant emotional nature of man. She has held her place as earth’s satellite to effect and trigger, restrict and impose the emotional patterns of those who incarnate here, so that through experiencing karmic events, they would be locked into repetitive and cyclical emotional responses, lifetime after lifetime. Take it as sounding harsh, if you will, but as Faust requested an angel who was quicker than human thought, so too have our emotional natures been in a state of hyper flux, being at the mercy of unwanted thoughts which flash like shooting stars across uncontrolled minds on a second to second basis. For those who say they will miss the Moon in the New Age, there may still be some insights to be gained. For those who say they will miss the night sky, with its starlight and Moonlight, imagine the sky with the stars, but without the darkness. Because it can be no other way on the new 5th dimensional earth, where there will be no seasons, no night time, and no Moon, as we will gain yet another Sun, so that light will be seen and felt all around. For duality to finally leave the earth, darkness must also be eliminated. The beauty of the Moon is only a mystifying trance that blocks truth and subdues humanity, while they ride around on the emotional roller coaster ride through time. The best we could hope for, from her, was to help lead weary travellers home through the dark, on those dreary nights when their travels did not end with the sunset. And even then, we could only hope she was happy with the zodiac sign she was occupying, otherwise she would wreak havoc on them, and send them travelling in circles, taking them right back to where they started. Or worse yet, let loose her jackals, and other terrors on them. There are many accounts of events such as these which people discredit and pass off as delusions. But illusions, and delusions, are precisely what she holds dominion over. The planets have never controlled us and have no influence on us, as I wrote in my article ‘When Bad Things Happen to Good People.’ Astrology is about the timing of events; not the way we respond to them. Even the current solar flares we are experiencing are a reflection of humanity’s awakening, and our external Sun is ‘experiencing’ our spiritual birth, and reflecting it back to us. Such is the power of humankind, as a collective, as One. These solar flares could not be emitted to earth if there were no receptive parties to harness these increased energies. 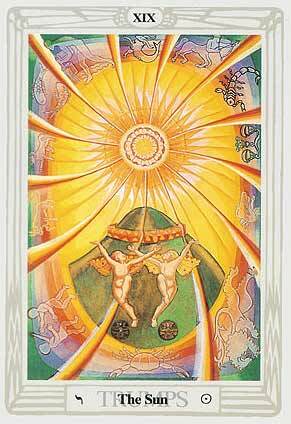 Those who are un-awakened are confused by these solar energies, feeling pierced by the light. But those who are awakened, can absorb them, and through this process, can spread this increased light in the form of expanded consciousness and anchoring love. Point blank, if there were no conduits, the energies could be potentially damaging, or ineffectual, or would merely bounce back into space. I have always witnessed, in myself as well, that humanity’s greatest stumbling block is the inability to accept that nothing comes from without, and that all things stem from within. All external displays are nothing more than a reflection of inner conditions. So often we consider this or that external force or phenomenon, form or power, to be something other than what we ourselves have created, or have no control over, yet the opposite prevails, ever and always. We can look outside of our bodies, at our clothing, our furniture, our house, our country, our planet, our solar system, our galaxy, and it is nothing more than a reflection of that which we hold within! How magnificent. To truly accept that, is to truly accept personal responsibility. But the Sun and Moon are not Planets. In Astrology, we call them lights, and while they also reflect, they also emit energy. But they fall into far different categories of influence, and while one is divine, the other is entirely malevolent. The Moon was brought to earth by the annunaki and their ‘base’ is located therein. They have used the Moon to control the masses through the manipulation of emotional energy. The Moon is always at odds with the Sun, whether it be during a solar or lunar eclipse, it clouds our perception of truth and spiritual knowing by fettering down, and dispersing our emotional energies, breaking them up into flux, and subjecting them to perpetual instability. And this has been her purpose. The Moon is losing her power, just as our dark reptilian leaders are losing theirs. Our emotional nightmare is fading away, and so must the Moon; she is far less noticeable now. She may turn a little red in the end, and get upset before she is hurled away from earth, and permanently removed from this orbit, but I’m sure she’ll get over it. Especially after she attaches herself to yet another poor helpless planet, unprotected and up for grabs; or perhaps she will be destroyed, that would probably be best. We are breaking free of this trance we’ve been under, no longer moonstruck. She is all about diversion from more important things. As a reciprocal external agent, or as an entity that emits energy, her motto is ‘go nowhere and repeat,’ always revisiting the same places, time and time again. She has been given many names, none of which spell consistency. She rules the dark night of the soul and the womb of hidden consciousness. She has many faces, and changes them continuously. You cannot look at her and ask your question and get a straight answer, because she only reflects and magnifies your own emotional condition, which is always changing. Whenever you look at the full Moon in the night sky, you are observing duality; the direct opposite of daytime and sunshine! There is only mysticism and awe, and intensified emotion. Because the full Moon is when the Sun and Moon are in direct opposition, and are at the height of divergence! Full Moons always create strain and irrational behaviours on our planet. (More than usual). This satellite Moon also holds governance over the earth’s waters and tides, and therefore also our emotions, as they are fluid. The names of the deities which preside over the Moon are confusing as well, as there are many names that she goes by. Aside from enjoying tricking people in the night, these Goddesses also take revenge if they are insulted. This first manifestation in the zodiac of the element of water is reflected in the sign of Cancer the crab, which symbolizes raw emotional energy craving experience and maturity. This I say without insult to the sign of Cancer of course, as we are all equally capable of emotional transformation and anchoring love, as well as remaining in perpetual flux and emotional immaturity. The Moon also rules the contents of the subconscious mind and those things which prompt us to feel things and do things which we are not aware of. It rules the night time thoughts that occur during sleep, otherwise known as dreams; those things we cannot figure out or make sense of in the light of day, but which are shown to us in symbols in our sleep. Apollo the Sun God, ruler of Leo, is the exact opposite to the Moon Goddesses and is known as the enemy of darkness. Whatever remains as part of our subconscious content lies ‘below’ the level of our awareness. When we act on our subconscious thoughts, we are doing things with absolutely no awareness of them, and this is the destructive path which creates eternal conflicts, dramas, and illusions, in the 3rd dimension of physicality. Because you don’t even know what you’re doing or why! And the Moon helps us stay there. Many have looked at the Moon hoping it will help them get in touch with their emotions, and have also been drawn to earth’s salt water shores hoping that gazing at the sea would help them sort out their feelings. And what they experience in the reflection, is the emotions they are trying to avoid; a difficult process, because these emotions are conditional and experiential, but unharnessed, and often at the mercy of external events. While staring at the sea, or the Moon, may help people to ‘connect’ with their true feelings, they are still in the grip of the dominant emotion. Though it may occasionally prompt them to be true to themselves, it is still a questionable source of guidance or direction, and often, false validation. Sometimes acceptance may be found in ‘that which just is,’ and this can be beneficial, in helping one move on to the next life lesson. But in no way does this anchor love, but merely resignation to life events, and the letting go of resistance. Then it’s on to the next experience. Romantic as it is, it is still darkness; beautiful as she is, the Moon is a dangerous entity. She is not a reflection of the human soul, as is the Sun, but remains a constant trigger for our undeveloped feelings, which swing from happiness, to sadness, to anger, to regret, to envy, to jealousy and to something we used to call love, which we reserved for only a select few. Salt water is a reflection of romantic love and cannot sustain human life. Fresh water is symbolic of the Christ love, which will become more available in the new world. It is the water which is pure and drinkable, cleansing and life giving, such as the love from within. More than anything else, this Moon has allowed for 3D illusion to flourish on earth through the constant drudgery of dramatic emotional responses to illusory events, which only promote more drama and illusion and perpetuate the cycle of third dimensional existence through endless cycles of cause and effect, action and reaction, finger pointing and blame, sadness and heartache. She has served her purpose very well, and the dark ones who brought her here can also take her away to wherever it is they are going. No, I say, let us be eager to leave her behind, and have the light shine on earth and on those who are prepared to let go of the dark night of the soul. The darkness will always exist, in places far and wide, but the earth is not willing to undergo any more extremes or fluctuations in weather and light. 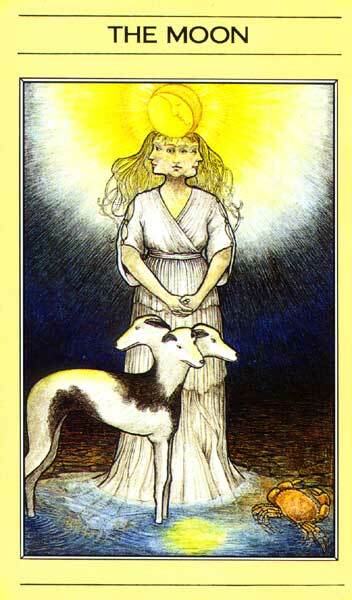 She is done with the seasons and the Moon’s perpetual inconsistencies and harmful effects from the dark ones. She is done with duality and is returning to the light and so is her population. And no more need for the Moon, as humanity has chosen love, not just for father, mother, husband, wife, or child, but for ALL. Good bye Moon and happy trails to you, may we never, meet again.